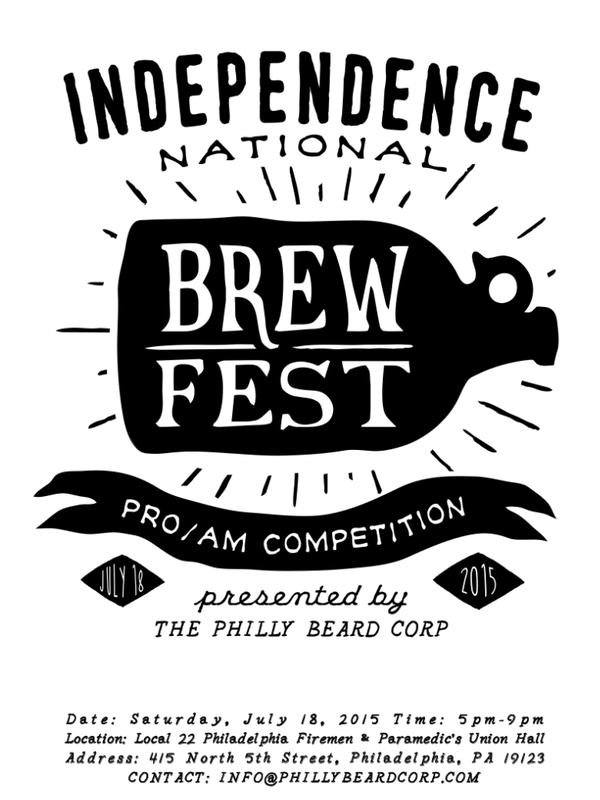 2015 Independence National Brewfest Pro-Am - Philly BEARD Corp.
That's right, were getting a bunch of brewers in the same room to battle it out and see who can make the best damn beer around. With some of the rarest beer in the world, the tastiest food trucks in the city, and live music by the areas most rockin' bands, can you think of a better way to spend a day? ...I know neither can we, see you there! 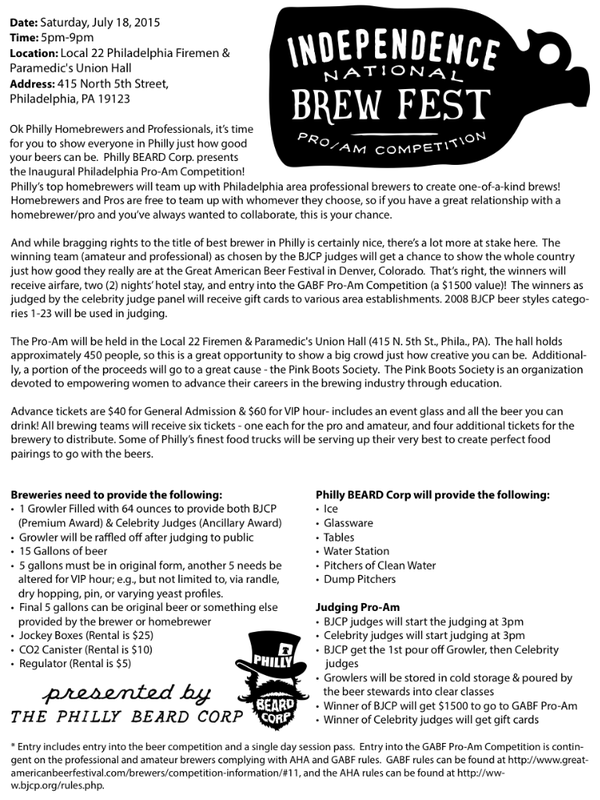 Advance tickets are $40 for General Admission & $60 for VIP hour- includes an event glass and all the beer you can drink! General Admission gets you admission to the event and an 8oz, commemorative tasting glass decorated with the event logo. 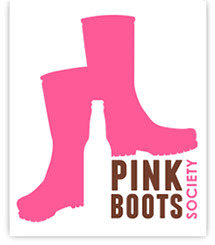 Access to sample all the rare, craft beers from over a dozen local breweries. Food will be available from some of Philly’s best food trucks! VIP Hour gets you admission the event one full hour early. 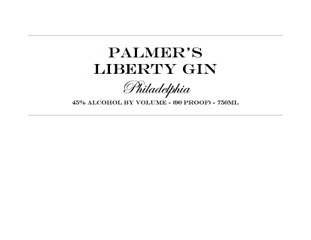 VIPs will receive a special and much larger 16oz tasting glass. VIPs will have private access to sample adulterated versions of the beers entered in the pro/am that will not be available to the general admission. Also, VIPs will be provided with tasty samples from local food trucks. St. Benjamin's Brewing Company Free Will Brewing Co.